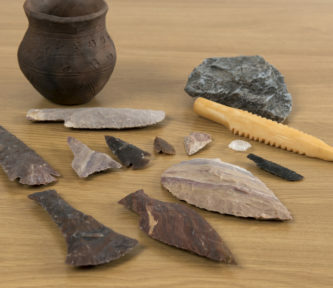 Immerse your class in Stone Age Britain with this superb collection of flint replicas. A fantastic opportunity for artefact handling, encouraging discussion and open questioning. Only to be used under adult supervision. Can your class decide what all of the different artefacts would have been used for? An essential resource when looking at the process of change through time.